Add Your 4 Color Logo and Tagline to our Photo and Layout Format. 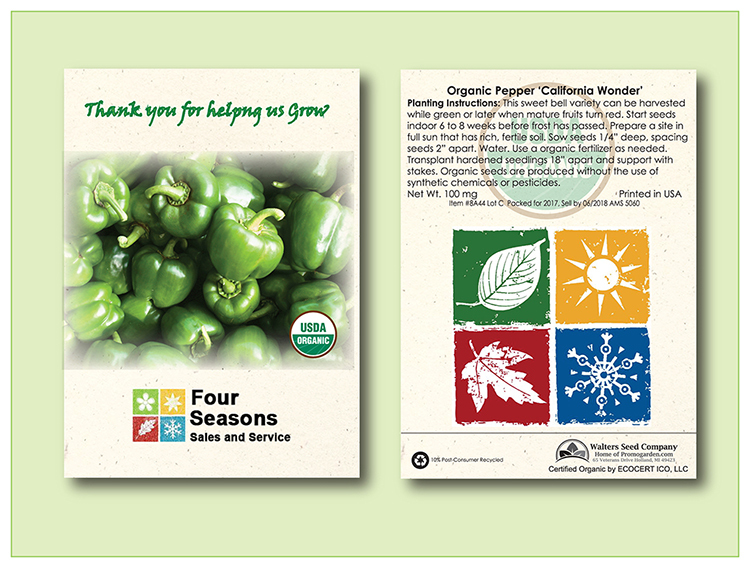 Customize our design with your four color digital art in three imprint areas. Free eproof. Top Front Message: 1/2" x 3"
Bottom Front Logo: 1" x 3"
Back Area 2" x 2"
Copy Correction, Art Prep: $30.00/v each if incurred. Typesetting: $30.00/v per order if incurred.